Patronizer of the Bar None! Come on down (but not necessarily in that order)! You’re the next contestant on the Price is Ripe. Meet Seana Spreng, 40, Jill Figueroa, 36, and Alexis Hodges, 35 . 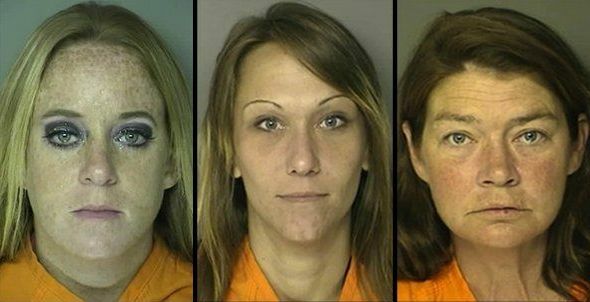 These three ladies were arrested in Myrtle Beach SC on charges of prostitution during a “crack” down after complaints and what the hell were people complaining about, the service? Because it sure as hell wasn’t the price– you get to name your own. Which brings me to the game portion of our show for you players. Take out a sharpie and draw a line on your screen to match the woman to the price she asked the undercover cop for.